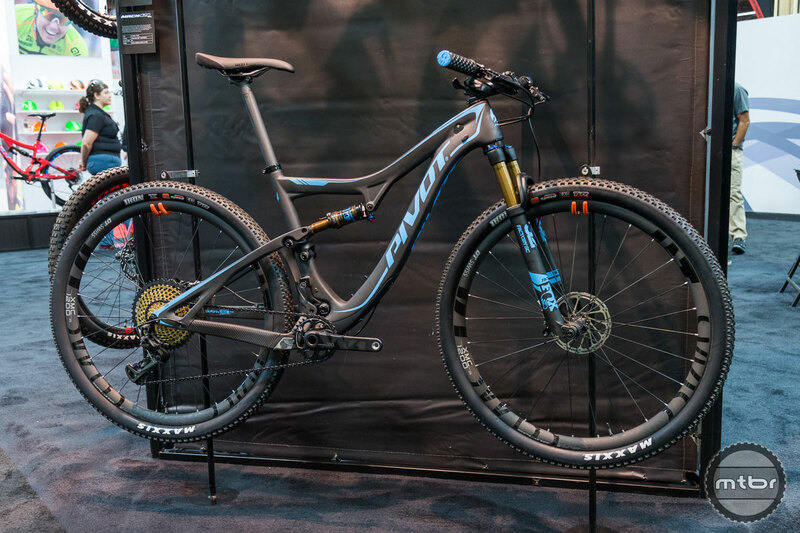 Here’s Pivot Cycles front man and lead designer Chris Cocalis running through the company’s hottest bikes, starting off with a very special 10-year Anniversary Edition Mach 5.5. You have to love that paint scheme. 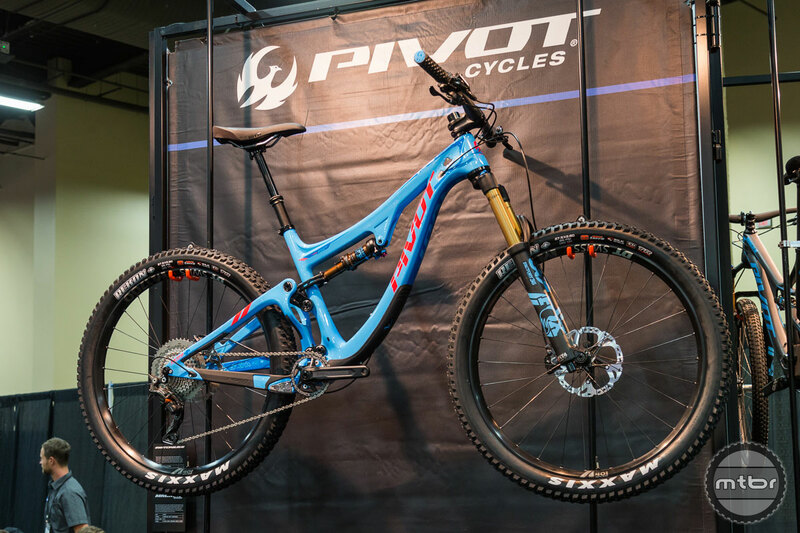 It’s a special time in the world of Pivot, as the Arizona-based brand is celebrating 10 years of making some of the world’s best bikes. To commemorate this momentous occasion, they’ve released the Anniversary Edition Mach 5.5. 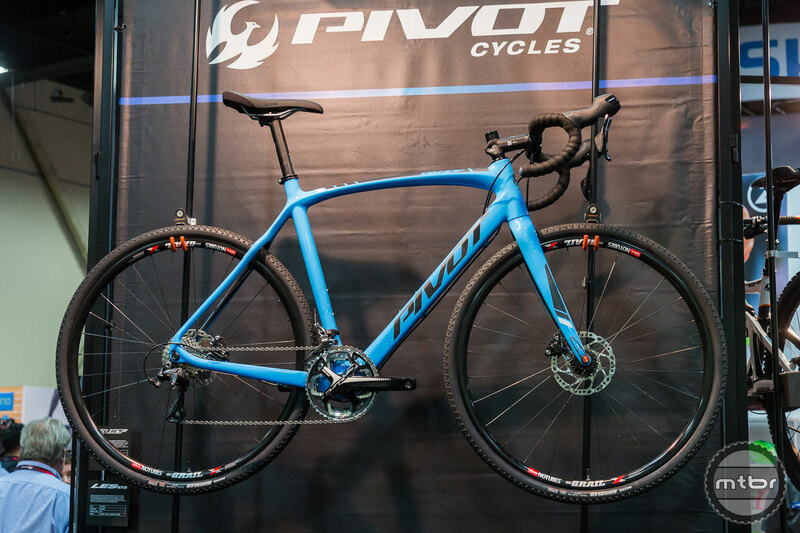 Highlights of this true do-it-all machine with 140mm rear travel and 160mm up front include a special Pivot blue paint scheme, color matched saddle and grips, and anniversary edition Reynolds 35mm internal rim width wheels with smooth spinning I9 hubs. 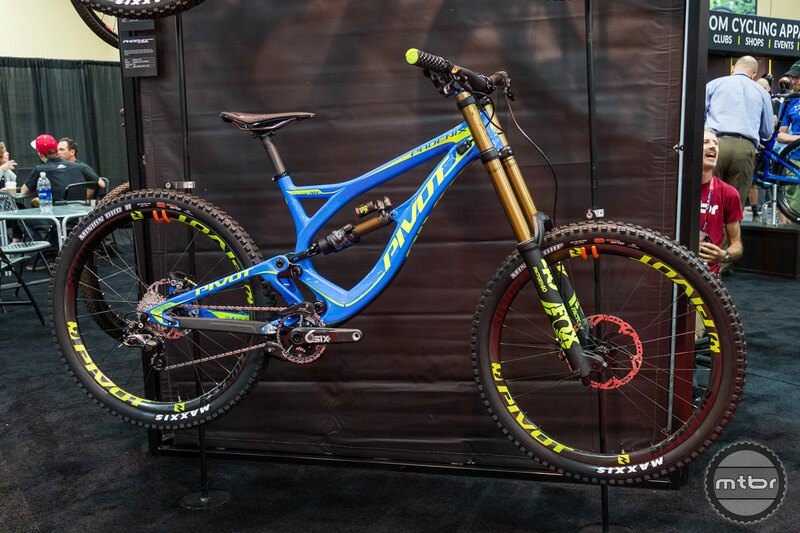 It also comes with Race Face Next cranks with custom graphics, a Shimano XT Pro build kit with upgraded Freeza brake rotors, and a bump-eating Fox DPX2 shock. 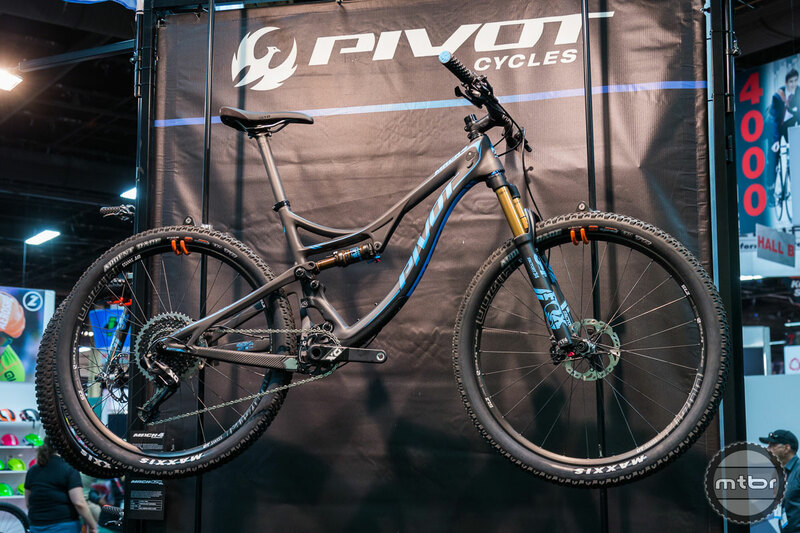 It’s a supremely beautiful build for a bike Chris Cocalis says is the Pivot model that covers the widest range, able to tackle everything from XC to aggressive trail riding. 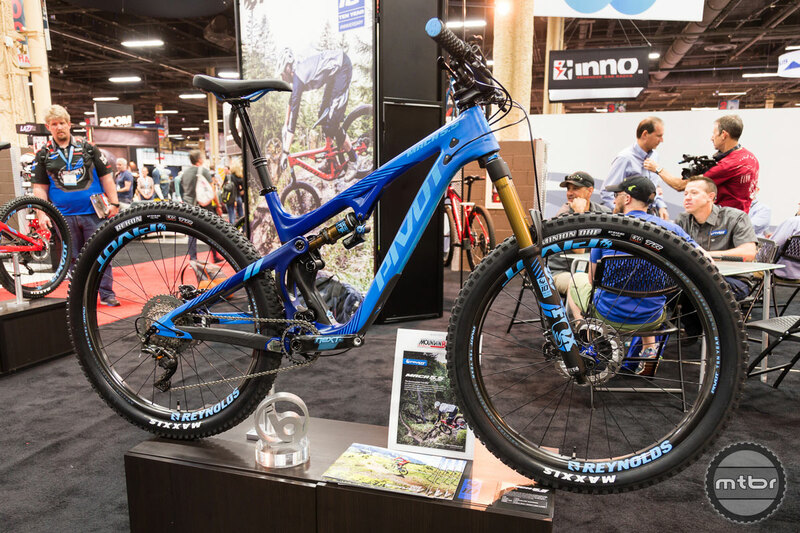 If you are looking for something a touch less burly, the Mach 429 Trail may well be the answer. 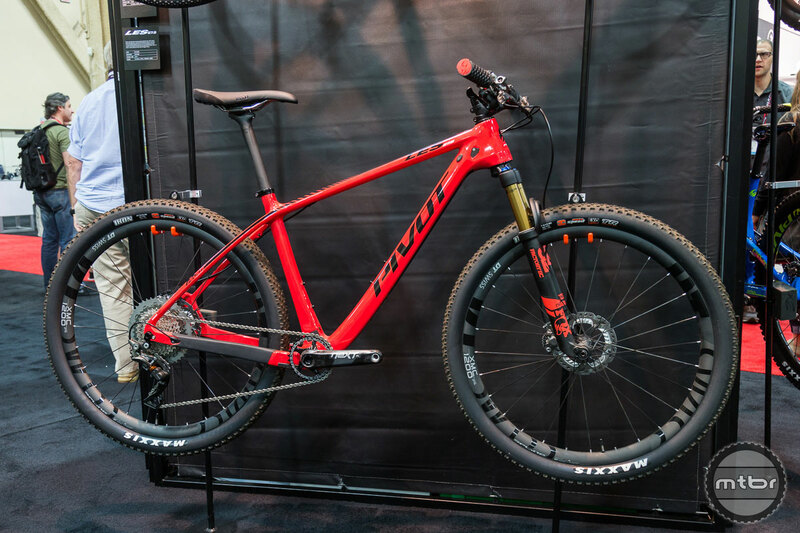 It toggles between 29er and 27.5-plus and has just under 120mm travel in the rear and 130mm up front. 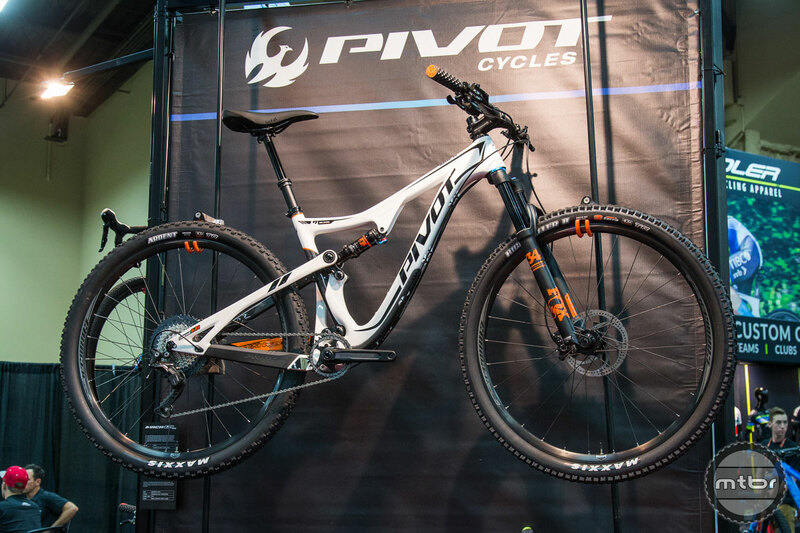 To help keep costs down, Pivot tweaked its frame design, putting cable routing on the outside, which allows them to maintain stiffness, keep weight in check, and slice about $500 off the final price tag. Finally, for the big hitters out there, the 170mm front/170mm rear Firebird is the answer to your bike park charging dreams. 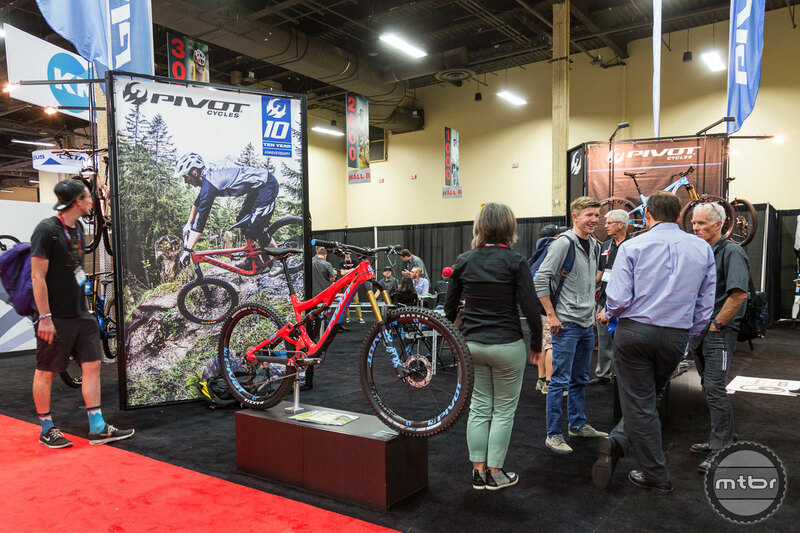 Launched last fall, this “super enduro” trail crusher is also a capable pedaler thanks to the stable DW-link suspension. And amazingly, you can get it to under 28 pounds in the higher end builds. Now that’s having your cake and eating it, too. 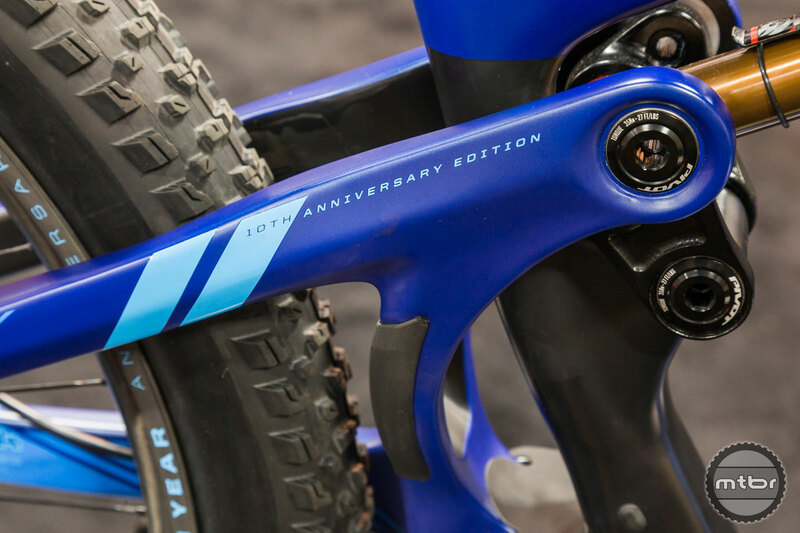 This limited and numbered edition of the flagship, high-performance, trail bike features a special Pivot Cycles 10th Anniversary paint, Race Face Next SL carbon crankset with custom graphics, matching Fox 36 fork and Fox Float Factory DPX2 rear shock, special WTB Volt Team saddle with Anniversary graphic and custom rail color, and Anniversary Edition Reynolds Carbon wheels with custom, laser etched Pivot 10 Year Anniversary logos and blue anodized-to-match, Industry 9 hubs. Only 300 of these very special Mach 5.5 Carbon bikes are available, worldwide. 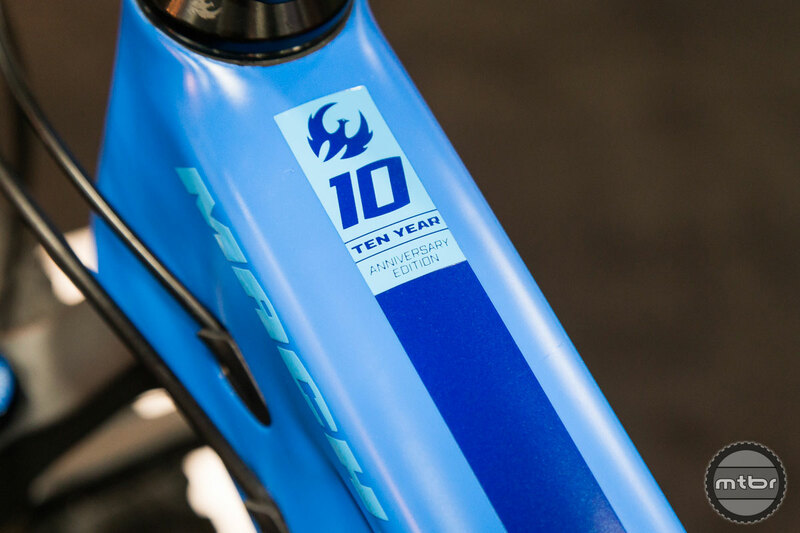 10th Anniversary Edition paint and special edition components throughout. 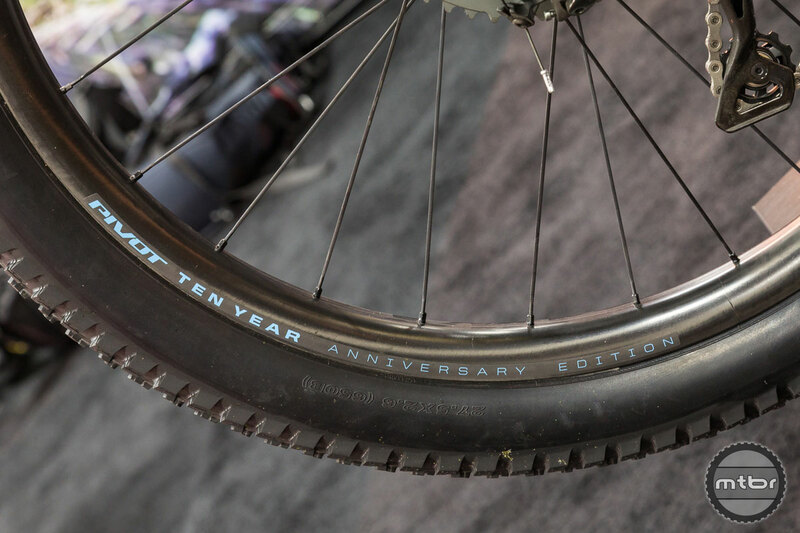 Anniversary Edition Reynolds Carbon wheels with custom, laser etched Pivot 10 Year Anniversary logos and blue anodized-to-match, Industry 9 hubs. 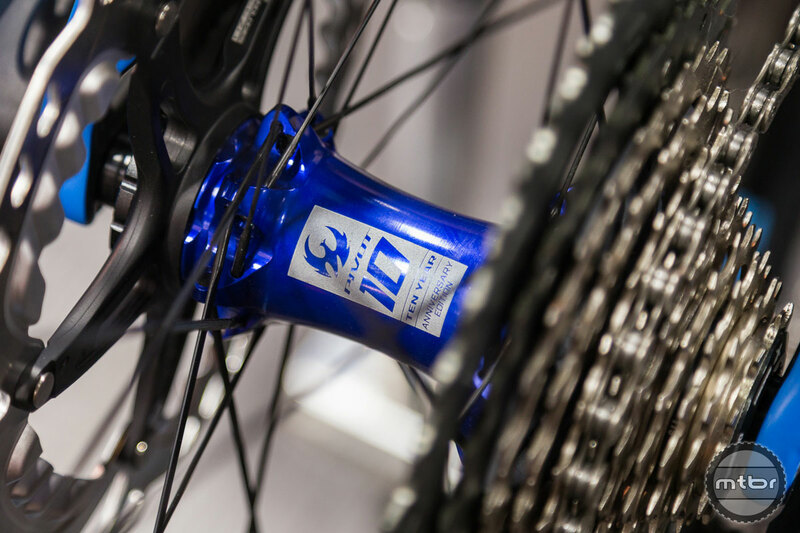 Reynolds Carbon wheels feature industry leading composite materials and proprietary resins that give Reynolds rims the perfect balance of stiffness and ride-feel. The LES hardtail family holds victories in professional races around the world. Now, we are proud to introduce the newest member of this winning team – the new LES 27.5. Following in the footsteps of the LES 29, the LES 27.5 is a hardtail aficionado’s dream machine – an ultra-light chassis with BMX-like handling and the rollover advantage of bigger wheels, all in a snappy, fast-accelerating package to fit a wide range of rider sizes. 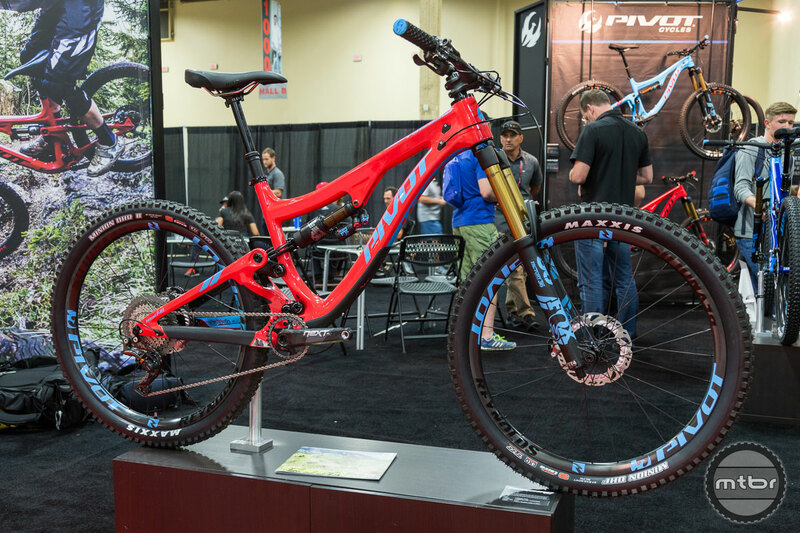 The goal when designing the Mach 429 Trail was to create a new category of trail bike – one that takes advantage of the best features of 29 and yet maintains the performance characteristics that make you forget about wheelsize and, instead, translate to the “best-ride-ever,” every time you ride. I’ve been riding and racing mountain bikes non-stop since 1990. The years of turning pedals in the hills have put me on top of the very first Manitou fork, ATAC stems, Anza bar ends, Cannondale HeadShocks, Triple rings down to single rings..etc. Of all my bikes throughout these ever changing years, my Pivot Trail 429 is by far my fave. I sold my Cannondale Scalpel team model in order to buy this amazing ride. I gained some weight for sure; but inherited a work of art that is so much fun to climb and descend on. I’m a loyal Pivot guy for many years to come. I may have to sell a kidney for it, but damn that 10 year anniversary 5.5 is a sweet ride!